Junya Watanabe was born in Fukushima, Japan, in 1961. He graduated from Bunka Fashion College in Tokyo in 1984. Comme des Garçons offered Watanabe an apprenticeship working as a patternmaker. Following a rapid ascent, Rei Kawakubo’s precocious protégé took over as chief designer for Comme des Garçons Homme in 1987. He was just 26 years old. 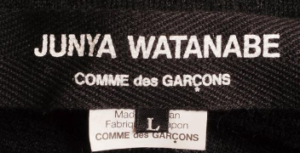 Having taken on the chief designer role for Comme des Garçons Homme in 1987, Watanabe went on to start his own women’s line in 1992. This was followed by the launch of Junya Watanabe Comme des Garçons Man in 2001. Watanabe has been described as a ‘techno couture’ designer. He embraces the use of new fabrics and design methods. He’s also fond of using patchwork and mixing fabrics. 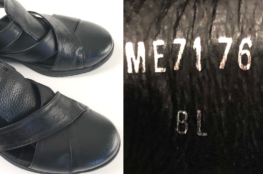 eYe Junya Watanabe Man Comme des Garçons, launched in 2005, is a sub-line of the main brand. The clothes tend to be a little more casual, and could be said to have a slightly broader appeal. 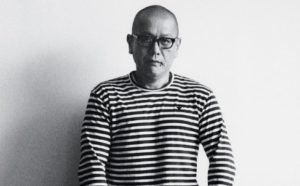 Watanabe has worked on numerous collaborations, with heritage brands such as Levi’s, Mackintosh, Canada Goose and Seil Marschall, as well as sports brands like Nike, New Balance, Karrimor and The North Face. Watanabe’s recent collections all have a few things in common. For one, he’s one of the most prolific collaborators in the fashion world. Secondly, though is functionality. He combined with the best brands in their fields to create fashion that functions. What he brings to the party is the cool. He transforms, reinvents and manipulates clothing to be more than the sum of its parts. He’s a true alchemist.